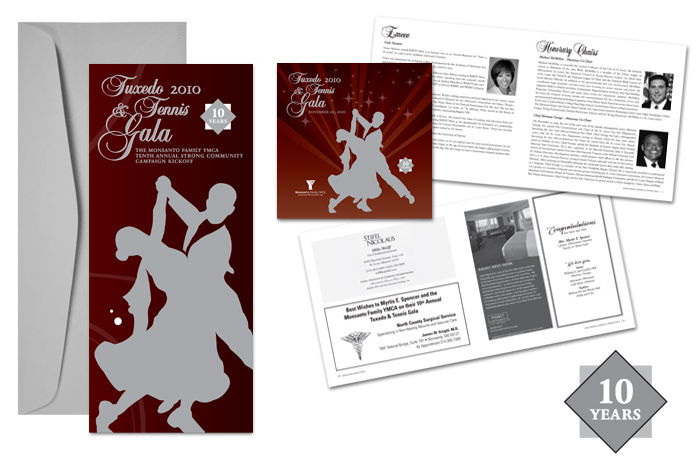 In 2010 the Monsanto Family YMCA celebrated their 10th year of the Tuxedo & Tennis Gala. We updated the design from the previous years to set it apart and added a 10th anniversary logo to all the pieces. The ad book was changed to a square shape as well.